At the time this post was written, there were two Paramount dollars and one genuine Redfield dollar being sold on Proxibid. The lot above is a Paramount dollar. 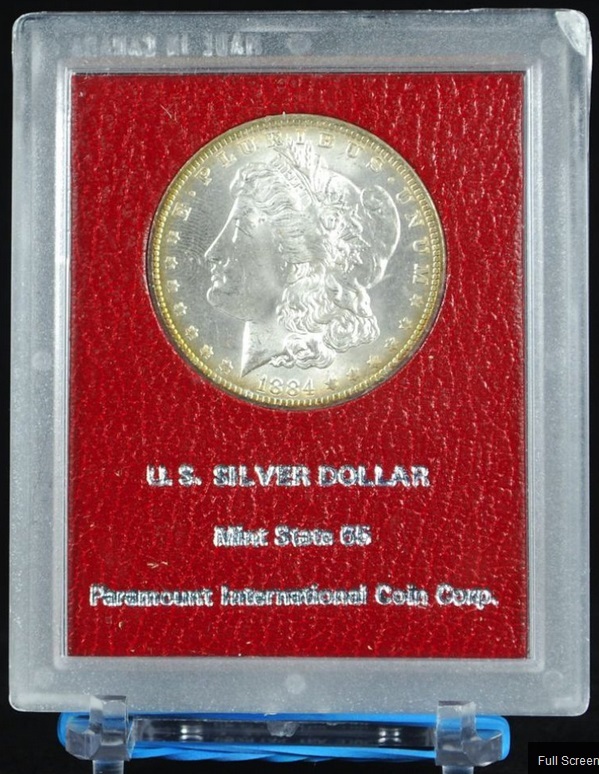 Redfield dollars are worth a much larger premium than Paramount dollars but because the latter are holdered in the same type of card and plastic, many Proxibid auctioneers call all such dollars “Redfield,” when they are not. The issue today is once being informed about the mistake, using the “Report the Item” link, will the auctioneer change the lot description? The Weaver lot above came from the 407,000-coin stash found behind a false wall in the basement of Reno, Nev., investor LaVere Redfield. The hoard was acquired for $7.3 million in 1976 by Steve Markoff of A-Mark Coin Corp. Markoff chose Paramount International Coin Corp. as a primary distributor of coins from the hoard. Paramount slabbed the coins in attractive plastic holders with green, red or black inserts. Green is for coins grading above MS65. People pay hundreds, and sometimes thousands, for coins in that rare holder. The other two common inserts, red and black, define two grades respectively, Mint State 65 and MS-60, the only two grades used at the time. 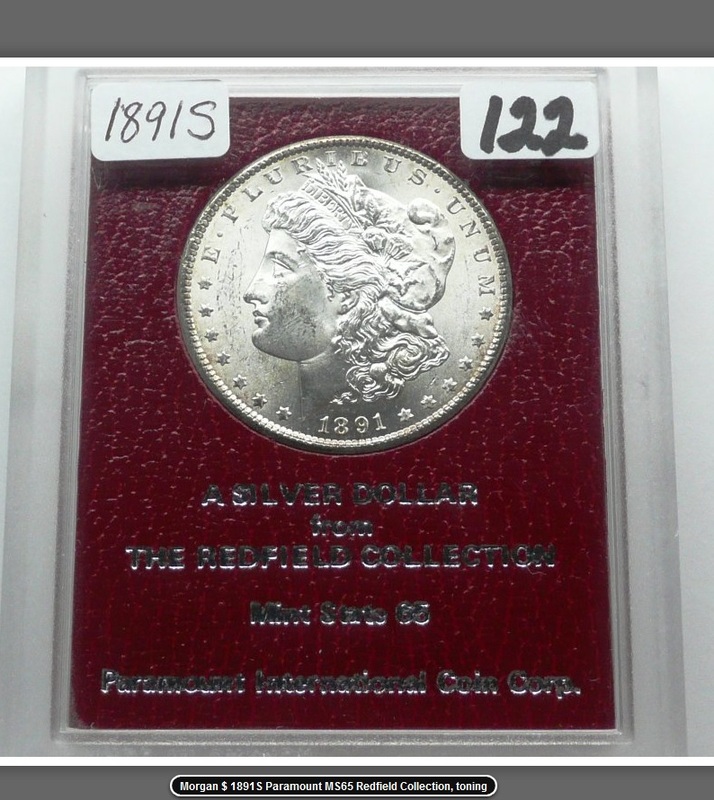 The Redfield dollars sold so well that Markoff decided to slab other Morgan dollars in his special holders–without the designation “Redfield.” Those simply state Paramount. These do command a small premium, but nothing like the Redfield pedigree. Anyway, the purpose of this post is to see if the two auctioneers who incorrectly described Paramount as Redfield will change the lot description. We used the “Report the Item” link every day for the past four days. We checked this morning, Monday, Sept. 15. The two auction houses with erroneous lot descriptions had not fixed those descriptions. So this is a test not only of numismatics but also on the effectiveness of the Proxibid link. Will the two auctioneers change their erroneous descriptions? For more on Redfield dollars, see this article published in Coin World. 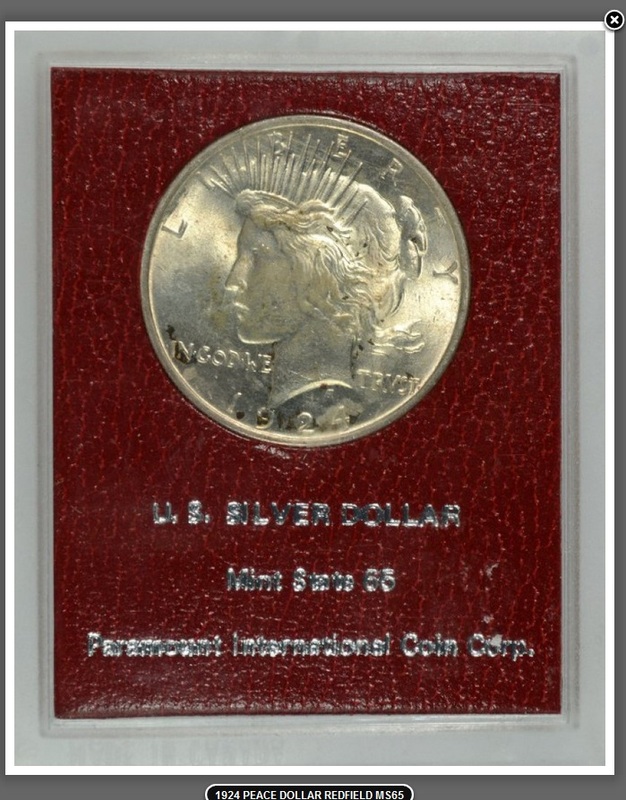 This entry was posted in Best Practices and tagged American Numismatic Association, Auctioneers, AuctionZip, Best Practices, Cheryl Weaver, Coin Auction, Coin World, Dave Weaver, iCollector, National Auctioneer Association, Paramount, Proxibid, Proxiblog, Redfield. Bookmark the permalink.